I'm participating in a learning experience called "Storytelling for Cultural Competence." The experience begins with writing and reflecting in a "Personal Storytelling Journal." The journal has daily prompts, weekly reflection questions and storytelling tips to help you get started on your cultural competence journey. The second week of writing focuses on passion and purpose. As noted in the journal, by telling stories with passion and purpose, you’ll feel your connection to the “kinship of humanity,” and help others feel their kinship as well. Your passion and purpose is also an important part of telling your origin story. David Hutchens has a simple formula for creating your origin story. Start with your purpose statement (What lights you up? What do you care about? What are you and advocate for? ), then think of an event in your life that led you to that purpose. Finally, connect your purpose and event together with a relevance statement explaining why that event led you to that purpose statement. The power of Hutchens' formula is that it produces an origin story that focuses less on how you became who you are and more on why you became who you are. I light up when I see people come together, as equals, to work toward positive social change. When I was 20, I got a work-study job at the public radio station on campus. The format was news and jazz and my first shift was "Jazz Overnight", 11 p.m. to 5 a.m. The music director pointed me to the stacks of LPs and CDs and turned me loose. He must not care, I thought. It’s the middle of the night, no one’s listening, so he must not care what I play. I pored over the stacks, knowing little about jazz, choosing records based only on their album covers. 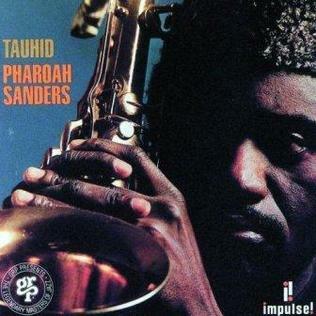 I played Coleman Hawkins and John Coltrane and Miles Davis and a particularly interesting-looking record, Tauhid by Pharoah Sanders. It was full of atonal piano crescendos and cymbal crashes punctuated by Pharoah’s honking and screeching saxophone. I knew it probably wasn’t “radio-friendly” but I didn’t know how to stop it. Should I just stop the record, mid-song, or should I wait it out? That’s when the phone rang. It was the music director. He wasn’t angry or scolding. He just said, that’s probably not the right record for right now. Just get something else set up, fade down Pharoah Sanders and fade up the new record. He was listening the whole time. Until that moment, I thought work was something you were told to do. Something constrained by training manuals and policies. Thinking of work as something to be explored within wide boundaries, as something to bring your individual sensibilities to, changed my view of how things could get done. It started me on a path toward the belief that empowering individuals and loosely connecting them is the best way to produce positive social change. That's my origin story. I'd love to read yours. If you feel comfortable, share it in a comment on this post. If you'd like to share it in a safer, more private space, join me in the "Storytelling for Cultural Competence" discussion forum. You can sign up at http://militaryfamilieslearningnetwork.org/courses/storytelling/. The first week of writing focuses on self-knowledge. As noted in the journal, learning about other cultures occurs "through increasing levels of cultural self-knowledge" (Nakanishi & Rittner). Each time I take the time to really think about myself, I discover something that surprises me. A few years ago, I did an exercise call "50 Facts About Me," as part of a Working Out Loud circle. The exercise is to write as many facts about yourself as you can in 3 minutes. It started out pretty easy for me. "I'm a dad. I'm a husband. I live in North Dakota", etc. But once I got beyond the obvious, it became more difficult. I had to start peeling back the layers that separate me from my past experiences. "I played alto sax in high school band. I've been arrested. I'm estranged from my parents." Some of those layers have built up as a result of inattention, but I think I've created others intentionally to keep my past at bay. I had that same experience of peeling back layers as I responded to the prompts in the "Personal Storytelling Journal." Writing about where I grew up, my ancestry and my family's socioeconomic class have led me to explore the boundary between who I am today in my everyday life and who I am at a deeper level. It's that deeper level (my experiences, theories, and judgments) that support my beliefs, and cultural factors have influenced my experiences, theories and judgments. Who I am and how I act today rests, in many ways, on those cultural factors. I'll share more as I continue the "Storytelling for Cultural Competence" learning experience. If you want to join me, follow the link above and sign up for the "Discussion Forum." It's a closed forum, where we can share this experience with others. 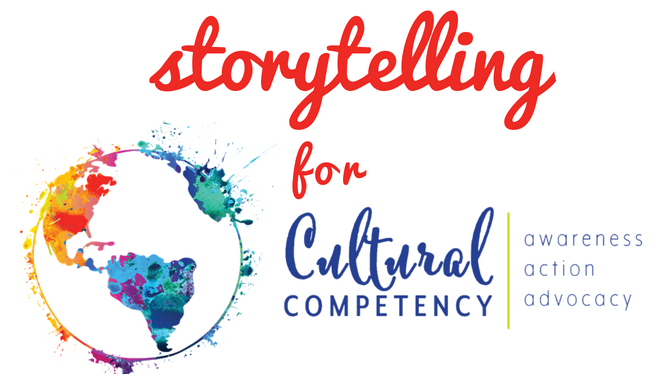 Starting Monday (August 20, 2018), I'm going to be participating in a learning experience called "Storytelling for Cultural Competence." My colleague Jessica Beckendorf and I created the experience as a part of the upcoming 2018 Military Families Learning Network (MFLN) Virtual Conference focusing on cultural competence. When we started working on the learning experience, our goal was to get participants more comfortable talking about cultural competence in advance of the conference, but as the experience developed new goals emerged. We discovered that developing cultural competence is a journey, something to be worked on over time, not just over a few days. We also discovered the connections between storytelling and cultural competence highlighted in the work of Jan Carter-Black. As a result, "Storytelling for Cultural Competence" changed from a pre-conference activity into a learning experience that frames the MFLN Virtual Conference, but also serves a a launching point for and, hopefully, a way to sustain your momentum on your cultural competence journey. The experience begins with the "Personal Storytelling Journal," which provides daily prompts, weekly reflections and storytelling tips that encourage self-knowledge (an important part of cultural competence), cultivate empathy and connection, and provide a space to practice the vulnerability and authenticity required for cultural conversation. Over the next several weeks, I'll be sharing my experience using the journal on this blog. I hope you can follow along, but I really hope you'll try the "Storytelling for Cultural Competence" learning experience yourself. I believe everyone is a learner and everyone is a teacher. That each of us has expertise of our own lived experiences, and that coming together to share those experiences helps us find patterns and co-create a way forward. So it's not surprising that I was drawn to the work of Michigan State University's Julie Doll, Cheryl Eschbach and James DeDecker when I read their article, "Using Dialogue to Engage Agricultural Audiences in Cooperative Learning About Climate Change: A Strategy with Broad Implications," in the Journal of Extension. 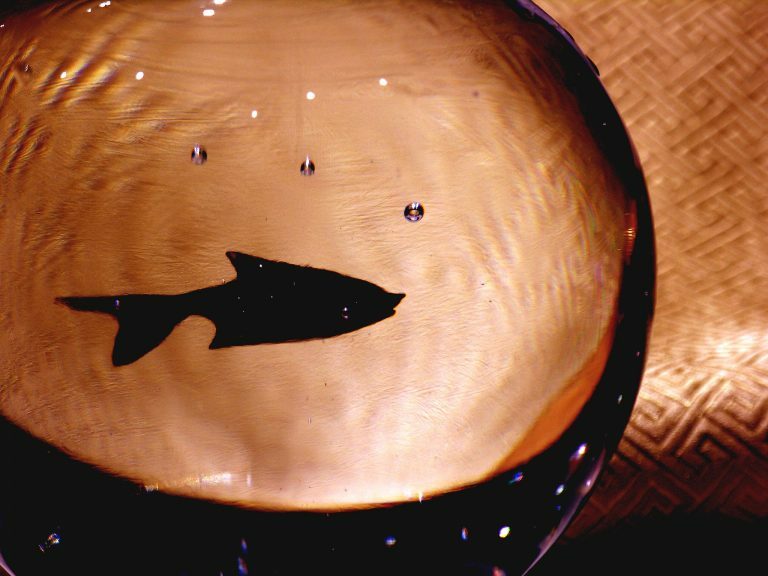 Their use of the Fishbowl method (inspired by "Fishbowls in the Field: Using Listening to Join Farmers, Ranchers, and Educations in Advancing Sustainable Agriculture") to allow participants to drive the conversation about climate change demonstrates the potential of a more democratic approach to Extension work to address complex issues.